For many years I taught a UAA course on the Economy of Alaska. In teaching about the oil industry, I recall how I used to teach that Alaska accounted for more than 20% of total U.S. oil production—a very significant share. Recently, in updating some lecture notes I made a graph to compare recent Alaska oil production trends with those of other states. Even though I had been reading about how our production was declining while that of other states was rising, I was shocked at the difference in trends. 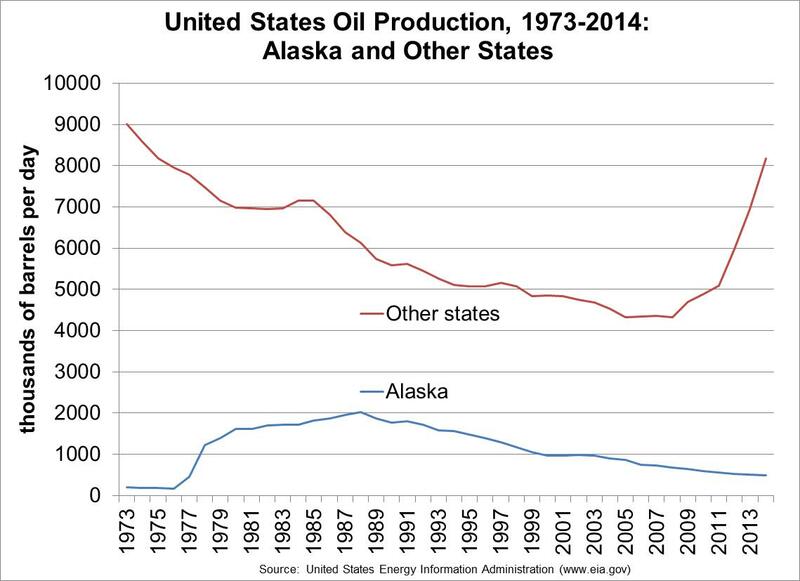 Between 2008 and 2014, production in other states soared, while Alaska production continued to decline. 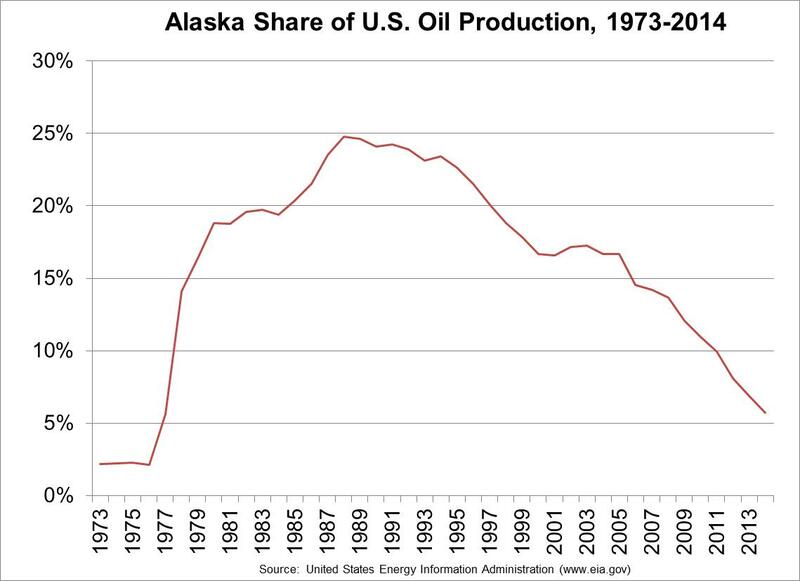 In 2014, Alaska production was down to just 6% of total US production, from a high of 25% in 1988. We think of our oil production as very big and very important to the United States. And of course it is. But it’s nowhere near as big and important as it once was.